We suggested last week that death is the thread that ties the cases of tumah together. 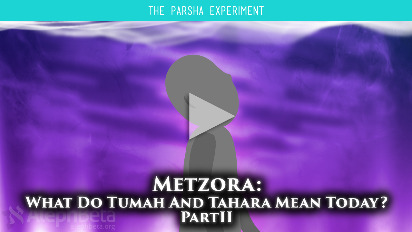 This week, in Metzora, we'll dive a little deeper to find the meaning embedded in the strange rituals of becoming tahor, ritually pure. Outwardly, the names of these Torah Portions seem contradictory, but behind them lies a powerful, deep and inspiring hidden message. 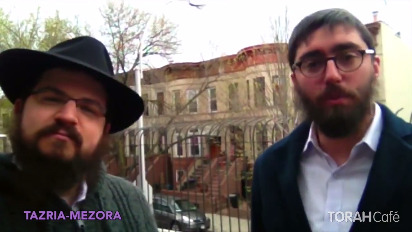 This class was given April 8, 2013 - 28 Nissan, 5773 (Parshat Tazria - Metzora).